The list below gives an overview of major upcoming sports events in 2019. You can also take a look at past sports events. 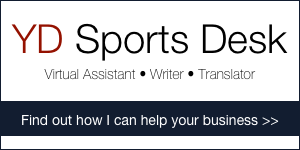 Are you missing any sports events? Please, leave a comment or contact us. The Monte-Carlo Rolex Masters comes today with 2 matches from semi-finals, between Gael Monfils (No. 16 ATP) and Jo-Wilfried Tsonga (No. 9 ATP), and between Rafael Nadal (No. 5 ATP) and Andy Murray (No. 2 ATP). For more details and probabilities, check on website. Please let me know if it’s possible to form an in-kind partnership in order to get this event out!